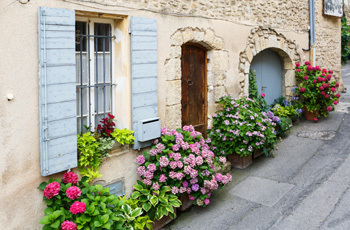 Enjoy the heartstopping beauty of Provence and the dynamic, vibrant culture of Paris! One week each in personally selected apartments in Provence and Paris. Provence: Car rental, with unlimited mileage and basic insurance. Transfer between destinations: Detailed instructions for your drive to Avignon rental car return, second class rail on the TGV train to Paris with transfer to your apartment. Local info, a Paris street atlas, a driving map, and Untouring Paris and Untouring Provence guidebooks, both researched and written by Untours staff, full of insider tips and sightseeing suggestions. Cultural events in each location, like dinners in the Latin Quarter of Paris and a quaint restaurant in the countryside of Provence.